You’ve contacted the artist, you’ve selected the riddim, and you’ve gotten your audio. Now what? 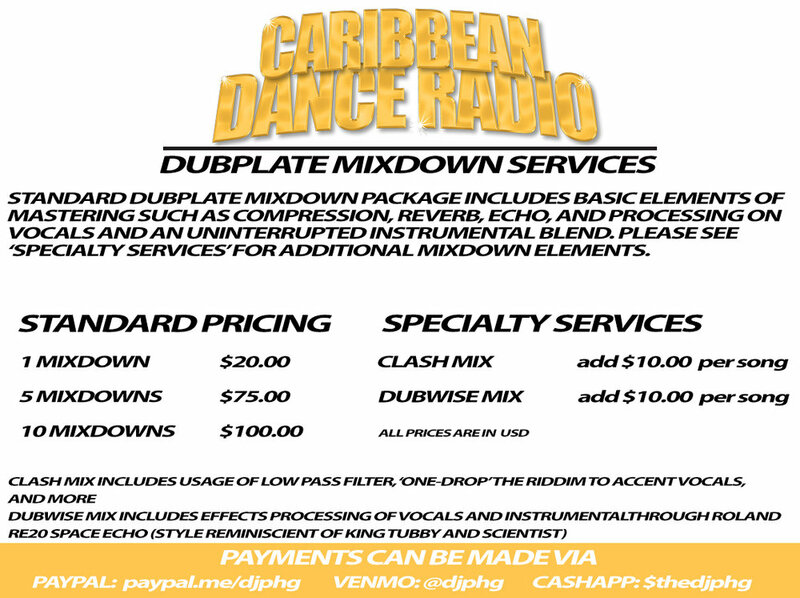 Make your dubplate stand out in a clash, radio broadcast, party, or mixtape using our Dubplate Mixing Services. Accent the vocals, low pass filter, extra reverb, riddim reconstruction, ‘one-drop’ the beat…let us know. You submit your split audio file and receive a WAV file of your dubplate mixdown. Our Dubplate Mixing Service has a one week turn around upon receipt of payment. Transactions can be made via PayPal, Venmo, or CashApp.